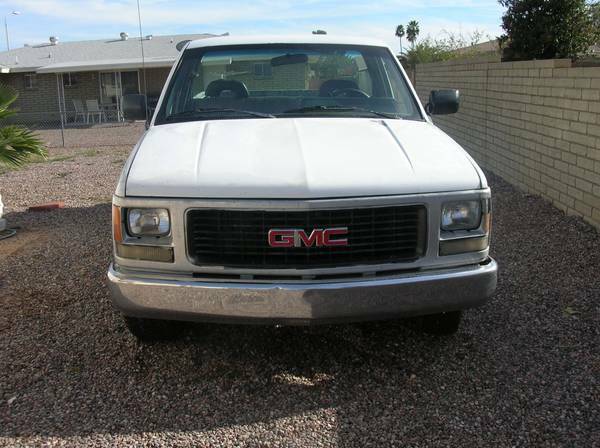 1994 GMC Sierra pickup or truck. 1500 long box. Automatic transmission. V8, 305, 5.0 liter engine. No cracks in the windows, inside shows wear. Door panels and dash okay. Headliner has been replaced. Seat could use a cover. 130,000 estimated miles. Could use a paint job. Dash light won’t come on...most likely dash dimmer. New fuel pump and filter. Air conditioning needs re-charge.